Millie is a wonderful multi. 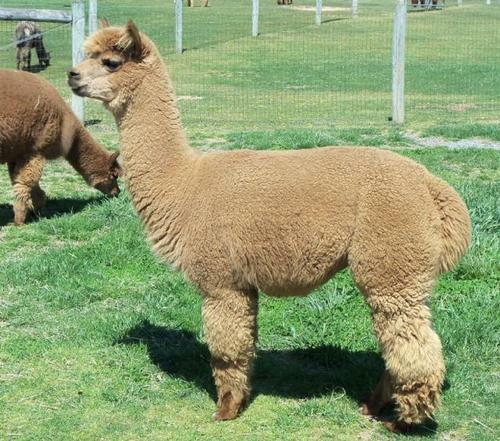 She is tall and elegant with a very crimpy dense fleece which comes from her accoyo grandpa. Even though she is a pattern, she throws solid color cria. Millie is a great producer bred to the right herdsire. 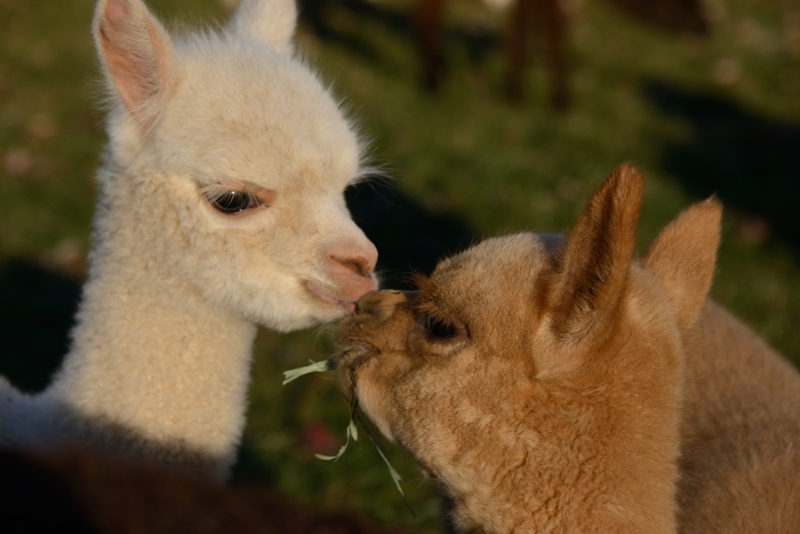 Millie had a female (her 2011 cria) which has very crimpy fleece. We named this little girl Tillie and she is just adorable. Tillie did receive ribbons at shows and grew up to be a good size and well proportioned female. Tillie is a nice girl with good size to her. Tillie did well in the show ring. She has a really nice soft, dense fleece.